In case you haven’t noticed, one of the hottest trends in craft beer as of late has nothing to do with what’s in your glass, but rather, what’s under it. And in case you missed that poorly executed pun, I’m talking about pinball, the sport of kings. Alright, that/s not true, but still. 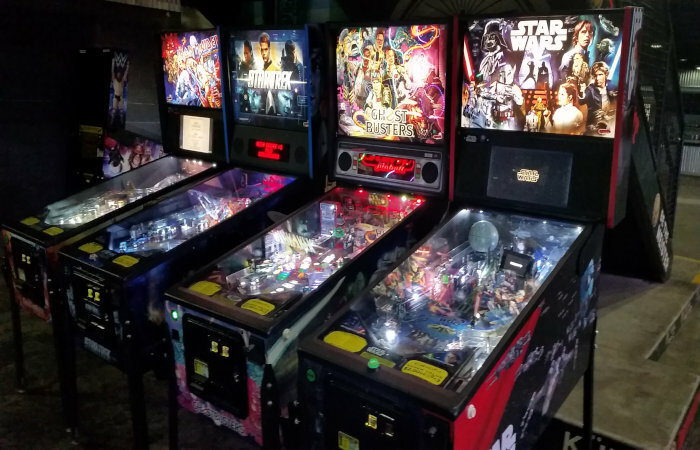 Any watering hole worth its salt nowadays is home to at least one pinball machine, and the beer scene is better off because of it. 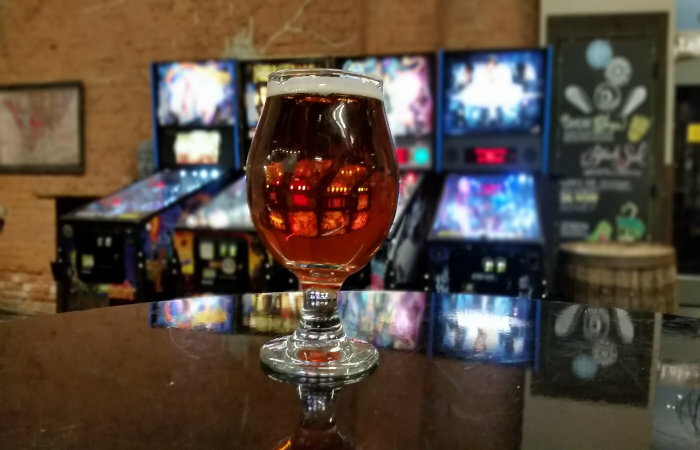 From breweries and bars to brewpubs and everything in-between, pinball and craft beer are quite the perfect marriage of craftsmanship and skill. 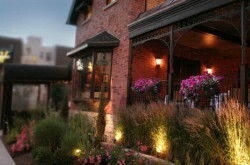 Each piece of the puzzle accentuates the other, effectively working to enhance the experience most often that not. And if you’ve yet to drink a cold pint of locally crafted beer while watching a small metal ball bang and clang off of brightly colored bumpers and rails, then you really are missing out. 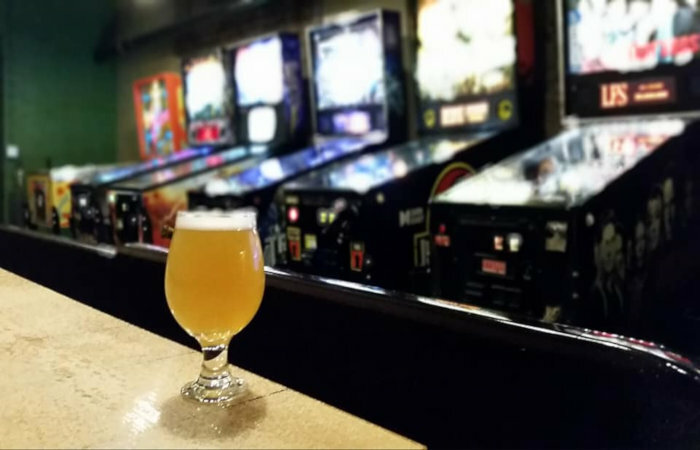 With help from our friends at Buffalo Pinball (@buffalopinball, buffalopinball.com), we’ve compiled a list of the best spots to grab a beer and play pinball. ***Note: All of these locations have multiple machines. 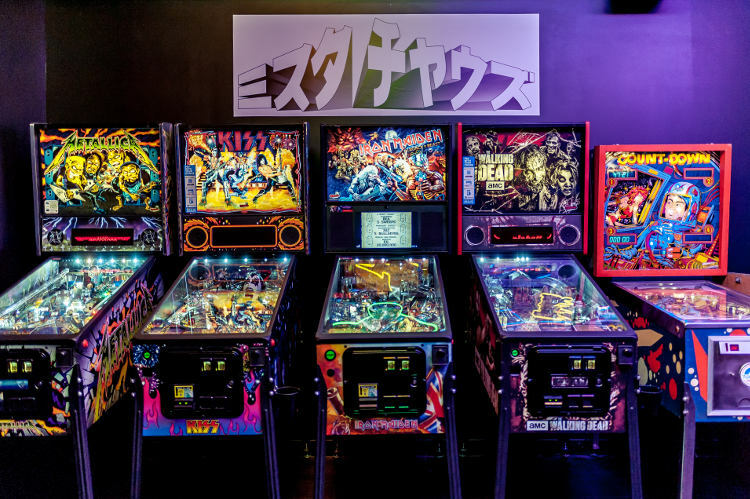 Not only does Misuta Chows offer a number of options in terms of gaming as you sip on an adult libation, they have nearly half a dozen pinball machines to keep you stimulated. Head down to Main, head right upstairs, grab a beer (or grab a fresh pint downstairs first), then hit gaming alley. The best part is, after you’ve had your fill of pinball, you can enjoy a few rounds of Double Dragon and Spyhunter. Damn that sounds nice. 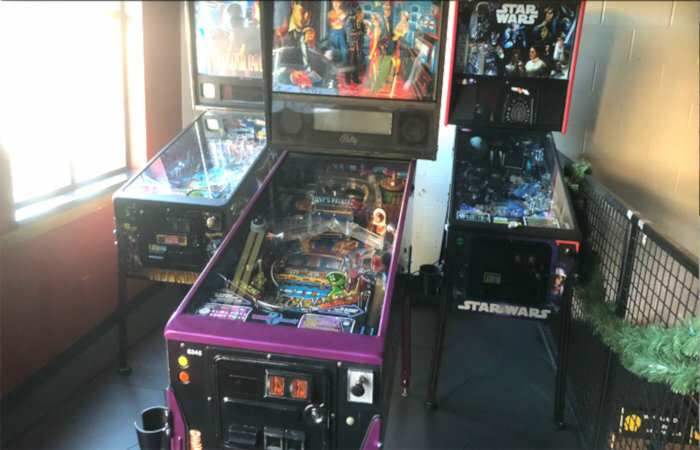 As part of their new gaming room, CBW added a slate of new pinball machines, which is pretty much just the cherry on top of the icing that is the game room on top of the sundae that is CBW itself. While I was a little peeved they took down the dart board (steel tips aren’t for everyone, I get it), beggars can’t be choosers because anytime you can grab a pint of Frank or Whale straight from the source then walk like 10 feet to play some pinball is a good time in my books. I think you’d agree. 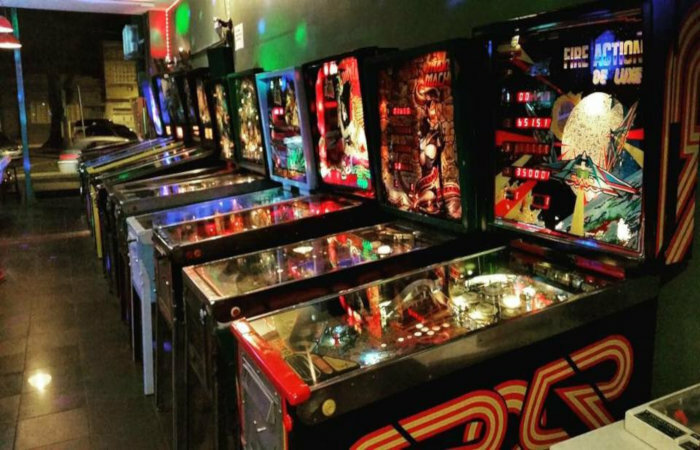 Just walk into the Barrel Factory and smack dab right in the middle of the joint you’ll happen across a row of pinball machines just waiting to be played. The special thing about these machines is that they are equidistant from both Pressure Drop’s taproom (inside Lakeward Spirits taproom), where you can grab an uber-fresh Sticky Trees IPA or refreshing Citra Screamer Cream Ale, or a cocktail (no judgement here), or any one of the many ciders that Bar Cultivar has to offer. Just make sure you have a stack of $1 bills for the machines. Just picture it – you have a hankering to work the flippers and don’t know where to go, then remember that there is a place where you can go, play and imbibe on fresh-to-death Thin Man beers in the process. Thankfully, that’s not a dream. It’s actually quite the reality. Know where you can live out that fantasy? Why, at Thin Man Brewery of course. Find a parking spot, hit the bar (Thin Man routinely carries two dozen draft beers on line any given day), then find an open machine and just go to town and play the night away. They stay open pretty late so you should be good if you lose track of time. Like Misuta Chows, Riverworks’ pinball machines are just one piece of the puzzle. 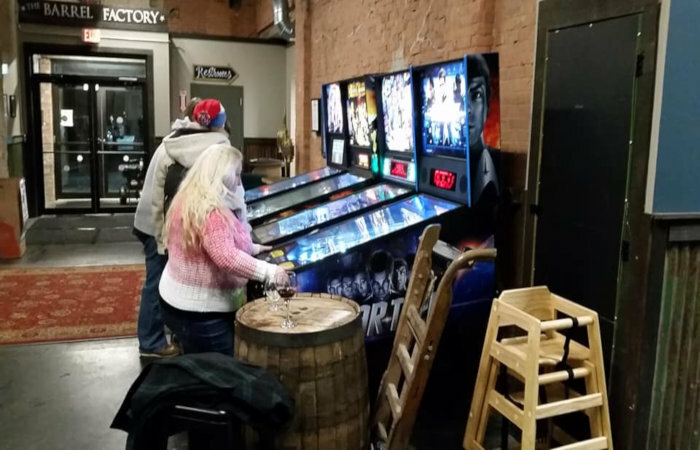 First, you should hit the bar and grab a beer, preferably one brewed in the silos right on site at Riverworks Brewing, then get a few rounds of pinball in, before you head over to play some darts and then hit one of the many arcade machines scattered throughout the sprawling Riverworks complex. It’s an impressive space if you’ve never been there. Beer and pinball are a good reason to stop by today. You see all of those pinball machines, right? It’s pretty simple why they made this list. They have over 60 machines nestled in what they call Pinball Alley and even have their own Pinball Club (join here), so including Pcketeer here was a literal no-brainer. 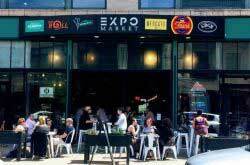 In addition, can you grab a beer, wine or mixed drink and hit the pool tables or the dartboards when you’ve had your fill of pinball action. Seems like an easy destination to me.